Being a college student is rewarding in more ways than one. Now you can finally get your own credit card, one that will reward you for your purchases. 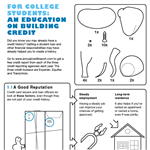 And it’s a smart thing to do: Opening a credit card account while you're in college and using it responsibly is one of the best ways to establish and build credit history. This is helpful when it comes time to land a job, rent your first apartment or buy a car. The hard part is finding the right student credit card for your needs. We’ll help you decide with our list. Tip: Thanks to the 2009 Credit CARD Act, you'll need to meet additional requirements to qualify for a credit card if you're under 21. 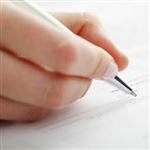 You'll need to be able to show proof of steady income or ask a parent to come on board as a co-signer. Thinking of cosigning? Read the pros and cons of cosigning a credit card. Many student cards offer rewards for the things you buy. A cash back card, for example, pays you back a percentage of what you spend, typically 1%. That may not seem like a lot at first, but with all your books, food, and entertainment purchases, those rewards can add up quickly — giving you some extra bucks. Other cards allow you to earn points on your purchases that you can use for travel, merchandise, gift cards, online shopping, or statement credit. 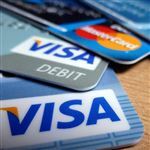 Some cards may offer a set number of points on everything you spend, while others offer extra points when you spend in certain categories. If you're looking at cards with such a tiered rewards structure, you should lean toward the one that offers the maximum amount of points or cash back on the things you buy the most. For example, a card that gives you double points at grocery stores and gas stations might be more valuable to you than one that pays double points on travel (e.g., if you're living at home while you go to college and you rarely get on a plane). Rewards structure: We like cards that treat students like adults and give them a good amount of rewards back for using them. Just be sure your spending habits match up with the rewards the card is offering; these cards are only “rewarding” if you use them when you need to make a purchase. Introductory rate: Some cards won’t charge you interest in the first few months of ownership, so you can take some time to pay off a big purchase or transfer a balance. Tread carefully here, though; you should always pay at least the minimum payment due and never miss a payment. Card perks: These are the nice-to-haves that can push one card higher on the list than another. For example, you’ll want to keep tabs on where your credit score is going, so we especially like the ones that show you your FICO score every month. APR: introductory 0% on purchases for the first 6 months; introductory 10.99% on balance transfers for the first 6 months. After the introductory period, the interest rate is 15.24% - 24.24% Variable APR. The Discover It card for students takes the featured spot for a few reasons. First, there's the generous 5% cash back on rotating categories you can earn when you sign up for the quarterly bonus. For everything else you spend, you get unlimited 1% cash back. Instead of offering an up-front sign-on bonus, Discover matches all the cash back you’ve earned at the end of your first year as a promotional offer for new cardmembers. As far as the fees and interest rate go, you're not going to be nickel-and-dimed to death. There's no annual fee and no overlimit fee, and you're never charged a foreign transaction fee if you use the card outside the U.S. Discover even waives the late fee the first time you miss a payment (although missing payments is not recommended), and the late payment won't trigger an increase in your interest rate as it would with some other cards. Speaking of the APR, you'll enjoy an intro 0% rate on purchases for the first 6 months. After that, a 15.24% - 24.24% Variable APR. Read our review of the Discover it for Students here. Introductory rate: introductory 0% on purchases for the first 6 months; introductory 10.99% on balance transfers for the first 6 months. After the intro period ends, the regular APR applies, currently 15.24% - 24.24% Variable. Our runner-up is the Discover it Chrome student card, which offers cash back rewards for everyday spenders. You may earn less than you could with the regular Discover it card, but you don’t have to sign up for the higher tier of rewards every quarter and you don’t have to switch gears every three months either. If you fill up at the gas tank often or eat out quite a lot, you will gain a good chunk of rewards — 2% cash back on those types of purchases, up to the first $1,000 you spend each quarter. You earn unlimited 1% back on the rest of your spending, and the first year cash back promotion also applies here. The fees and other card benefits are identical to what you'd get with the student version of the Discover it card. That means free access to your FICO score each month, the ability to turn your card on or off using the Freeze It feature (for security purposes), the $0 fraud liability guarantee, and the ability to redeem your cash back at any time. So why did the Chrome student card come in second? It all comes down to how much cash back you stand to earn quarterly. If you were to max out the bonus with the Discover it Student card, you'd earn a minimum of $300 in cash back annually (and that’s not even including what you could earn at the 1% tier). By comparison, the Discover it Chrome student card yields only a maximum of $80 in cash back each year from the bonus categories. You may find that what you’ll likely earn will differ, so it’s worth taking a moment to do the math before applying for either card. To learn more about the Discover It Chrome for Student, read our full review here. This card can be especially useful for students who already have a Bank of America account because they can get a 10% bonus when they redeem their cash back into their checking or savings account. This card comes with a longer introductory period on purchases than Discover, lasting 12 months. You earn 3% cash back at gas stations and 2% for groceries for the first $1,500 worth of combined grocery store and gas station purchases each quarter. You get 1% on everything else. Nice-to-have perk: By linking your BofA accounts, you can easily track your funds and spending through its mobile app. Spend a certain amount in the first three months of owning this card and you’ll get bonus points. This card is great for students with an active nightlife: it gives you 2 points per dollar spent on dining and entertainment and 1 point per dollar on everything else. Newbies get introductory APR on purchases for 7 months. Nice-to-have perk: Users get access to Citi Private Pass; you may be able to get presale tickets to select concert or sporting event in your area. For new users, this is a good card, but then it tapers off. For six months, you get 3% cash back on grocery, gas, and drugstore purchases, but then those purchases give you only 1% cashback, just like all other purchases. For the first year of ownership, you get intro APR on purchases and balance transfers. Nice-to-have perk: You can sign up for “rapid alerts” and know right away every time a transaction occurs on your card, thus informing you if one is being made without your consent. If you’re looking for simplicity and you or your parents have been involved in the military, then you might like the sound of this card’s rewards: 1 point for every $1 you spend. No signup, no bonus tier, just a 1-point system. Nice-to-have perk: This card comes with a six-month intro APR. Saving up for spring break or a European backpack tour after graduation? This card gives you 1.5 points for every dollar you spend, and then you can redeem those points for flights, hotels, cruises, or rental cars. Nice-to-have perk: You can use Bank of America’s ShopSafe service, which generates a temporary credit card number that you can use to make online purchases and protect your real credit card number from third parties. This card keeps things real simple by giving you 1% back on all types of purchases. Nice-to-have perk: Pay on time each month you’ll get a 25% bonus on whatever cash you earned (in other words, your cash back will be equal to 1.25% of each purchase). This card is as simple as it gets since there is no rewards program. But then you also don’t have to worry about categories or sign-ups; just use the card when you need to use it and pay the card when you need to pay it. Nice-to-have perk: You get to pick your own due date. This is a standard credit card; it doesn’t come with rewards, but you can use it for access to student discounts, like $10-$25 off a purchase with your favorite retailer. Nice-to-have perk: While this card does not have an introductory rate for purchases or balance transfers, it does not charge a balance transfer either, so it may be useful if your overdue balance on another card is fairly minimal and you’re looking to consolidate. A student credit card can be a powerful tool for building credit and saving money — but only if you're using it wisely. 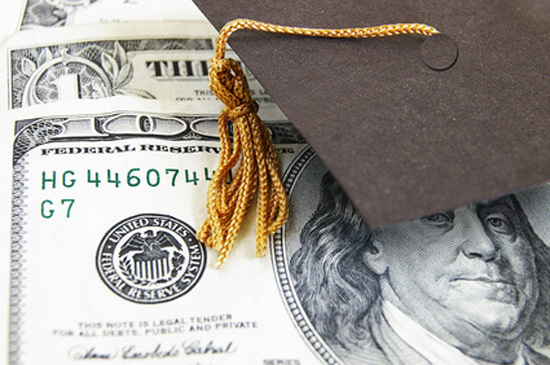 Overspending just to chase after rewards practically guarantees that you'll end up with a pile of debt that can haunt you long after graduation. Keeping your balances low and paying off what you charge each month are the smartest ways to keep a student card from wrecking your credit — and making sure you build up that all-important credit score.